The Aftermath is the sophomore album from Philly group, Da Youngsta's; it was released on this day in 1993 via EastWest Records. The trio consists of 2 brothers, Taji & Qu'ran, and their cousin Tarik. The Aftermath was their breakthrough album, featuring Pete Rock & CL Smooth, Treach, and production by The Beatnuts, Pete Rock, Kay Gee, Marley Marl and DJ Premier. 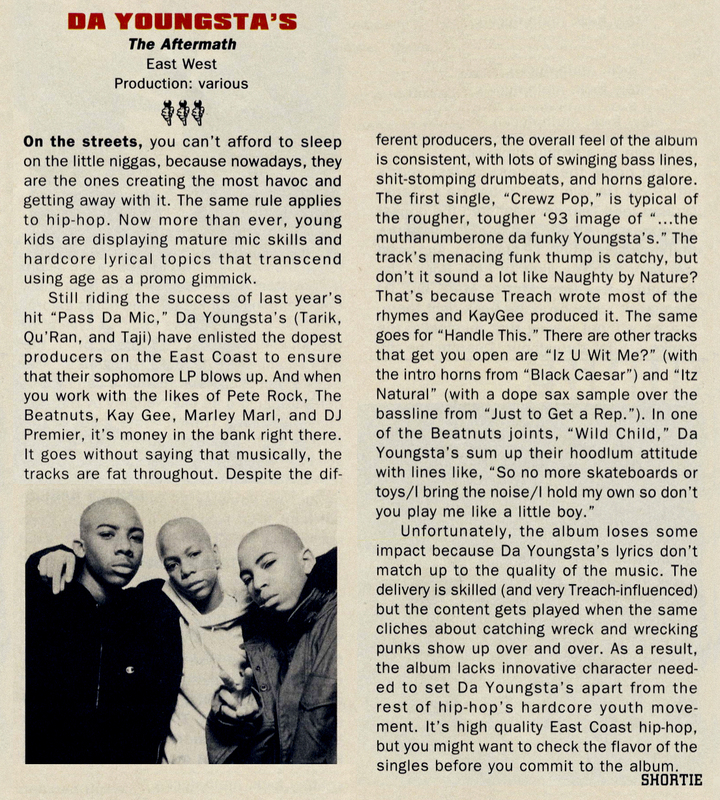 I still have the original press kit, which at the top says, 'F*ck what ya heard', and launches into a bio that probably should've been rewritten: 'Nothing lasts forever and the curfew-fearing Youngsta's of last year are now stayin' up as late as they want, puttin' pen to paper, getting down with the pros, and are ready to take their props.' Tarik adds, 'You'd be surprised how much you can mature in a year ... especially in the record business.' 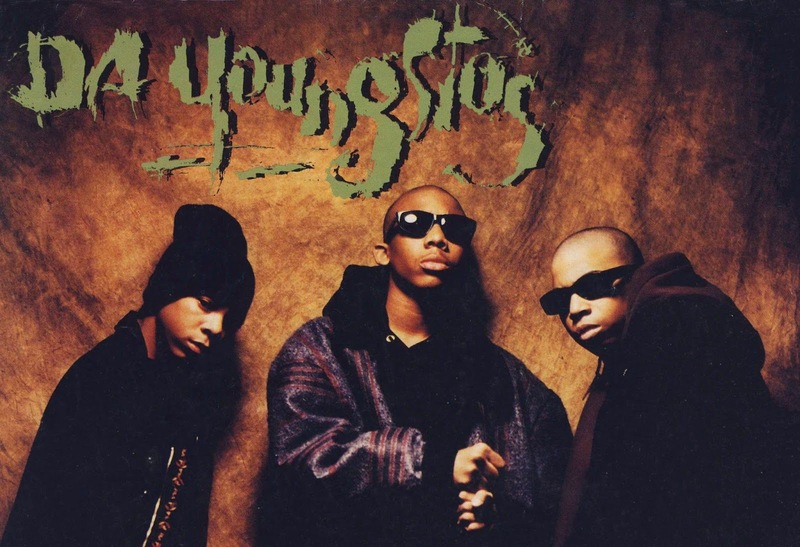 Prepping fans for a shift in content, Da Youngsta's returned with shaved heads and Treach writing & featuring on the lead single 'Crewz Pop' going at Kris Kross. Follow-up singles were 'Iz U Wit Me' produced by Pete Rock & lastly, 'Wild Child,' which didn't connect as a single. Their 3rd album, 'No Mercy,' dropped in '94 with a heavier influence from Marley Marl & K-Def, bringing the sound they brought to Lords of the Underground.